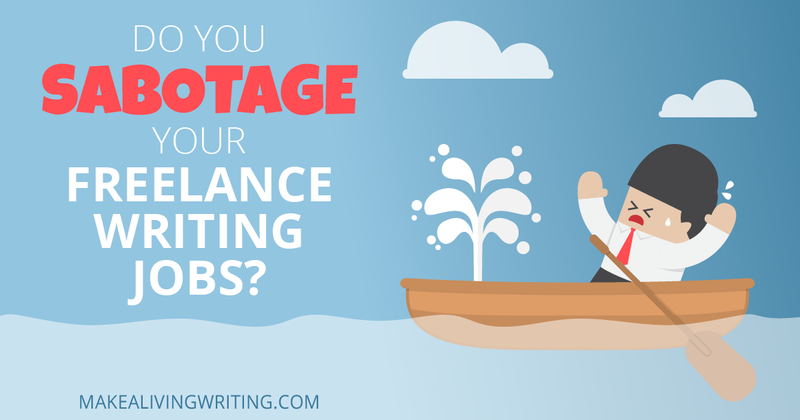 Are you one of those freelance writers who can’t seem to win no matter how hard you try? All the freelance writing jobs you touch seem to turn to merde. Things may start out well, but then something often goes wrong. You don’t get paid. Your client drops you. All your prospects just want to know how little you’d be willing to do a gig for. And you’re always struggling to book more freelance writing jobs. If this is you, listen up. I’m going to tell you exactly why that’s happening, and how to fix it. How do I know what’s up? I recently added a free, 1-on-1 consulting perk for all Freelance Writers Den members who’ve been in the Den a year or more. That turned out to be…500 writers! So I’ve been talking with many, many writers who’ve been working on their careers a long time, and learning what keeps them broke, and why it’s so hard for many to find and keep freelance writing jobs that pay well. The online offers for revenue share writing gigs are ubiquitous. They’ve been around since the early days of the internet. If you’re a veteran writer who knows how to write compelling copy, or you’re a newbie freelancer who can churn out content, maybe revenue share writing could be a stable source of income. But before you sign up, tap into your creative energy sources, and start cranking out content for a revenue share writing site, you need to know a few things. It’s a business model that relies on freelance writers to create content to drive website traffic. But instead of getting paid flat-rate fees, you get paid based on the number of views, or more commonly, on a percentage of clicks made on ads placed next to your articles. Are you afraid you’re not good enough as a writer — or maybe worried that you might succeed but get in over your head? Here are a some practical tips on overcoming these fears to move forward.